If you’re a steak fanatic, you know nothing beats a perfectly cooked and well-seasoned steak. But the question remains: what is the ideal way to cook a steak — grilled or skillet? I’m here to tell you cast iron steaks are the way to go. Before you brand me a heretic, know this is coming from someone who swore up and down for years that grilling steak was the one and true way to cook a steak. But I’ve seen the error of my ways and now I’ll try to make you a convert to the best cast iron skillet steak out there. Grilled steaks have many things going for them — flavor, char marks, and juiciness. But they also come with potential health hazards and can take a long time to prepare. Between properly heating the grill and cooking the meat, it can take you 20-30 minutes. And then you have to deal with the cleanup. Sometimes you just want a steak now. That’s where cooking steak in a cast iron skillet comes in. Cast iron steaks are more flavorful than grilled steaks, better maintain the juices, and are fast and easy to prepare. The exact cut of steak and seasoning are really up to you, but a cast iron skillet and olive oil are key. So without further ado, here’s how you prepare steak in a cast iron skillet. 1. Take your steak out of the refrigerator and let it rest on the counter for about a half an hour. You don’t have to bring it up to perfect room temperature, but let it situate a bit. This really does make a difference. 2. Heat your cast iron skillet over medium-high heat on your stovetop. Be sure to watch your skillet. If smoke or steam is coming off the skillet it’s probably too hot and you’ll need to remove it from the heat for a couple minutes. 3. Pre-heat your oven to 450 degrees. 4. Brush both sides of the steak with olive oil. 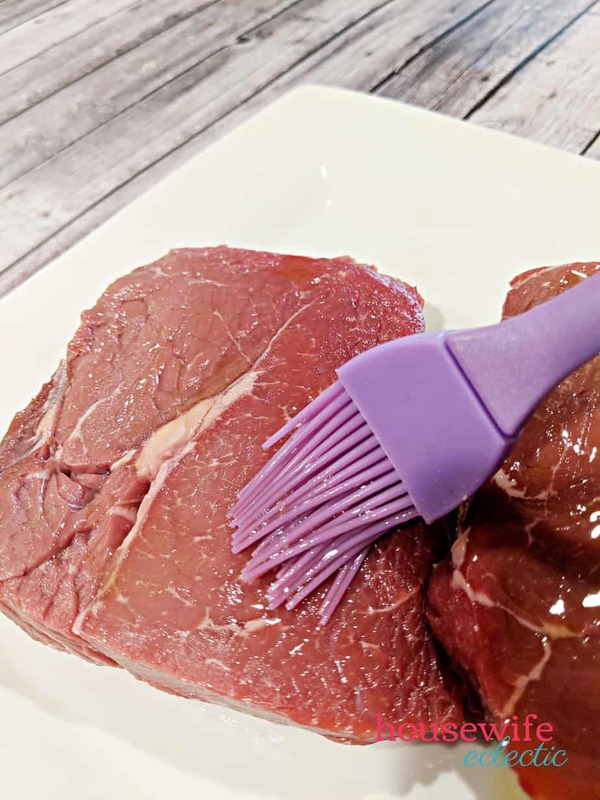 You don’t need to douse the steak, but make sure you brush the two sides that will be seared. 5. Season the steak on only one side of the steak. The seasoning is really up to you. I personally enjoy the Montreal Steak Seasoning, but any dry seasoning will do. The reason you only season one side is to provide the extra flavor without detracting from the great natural flavor of the meat. 6. Next, place the seasoned side of the steak on the skillet (don’t oil the skillet) and let it sear for two minutes. You will likely see plenty of smoke coming from the skillet and may worry you’re burning your steak. Don’t worry, it’s not burning. It’s doing its thing. You may need to turn on your range hood fan. 7. After exactly two minutes, flip the steak and grill on the other side for another two minutes. You’ll notice your seasoned side should have a nice light to medium char on it. 8. After the second side of the steak has seared for two minutes, immediately place the skillet and steak into the oven. Cook for another 3-6 minutes, depending on how well done you want your steak. Three minutes is medium rare, while six minutes will be well done. Four to five minutes is medium. Your oven may have slightly different heating times. If you’re worried about the temperature, use a meat thermometer and make sure the meat is around 145 degrees for a medium steak. 9. Remove the skillet from the oven and let the steak rest for five minutes. This is very important. This will finish the cooking process and allow the juices to settle and make the steak more tender. 10. Eat and enjoy your delicious, flavorful, and juicy steak. Every time I’ve made this, my steak has been so perfect I haven’t needed any steak sauce or extra seasoning. As you can see, this is a really easy method for preparing steak. It’s two minutes on each side of the steak in the skillet, another 3 to 6 minutes in the oven, and five minutes resting time. Plus, you don’t have to hassle with prepping the grill, cleaning it up, or putting it away. The one downside to cooking steak in a cast iron skillet is the smoke. It can definitely kick up plenty of smoke, but it’s worth it for a glorious steak prepared from the comfort of your kitchen. While I don’t think I’ll give up grilling steaks, especially during the summer months, it’s a great alternative for a quick fix and for the cold winter months. Give it a try. I love my cast iron skillet because of the many recipes you can make with it. Somehow the dish just tastes better. 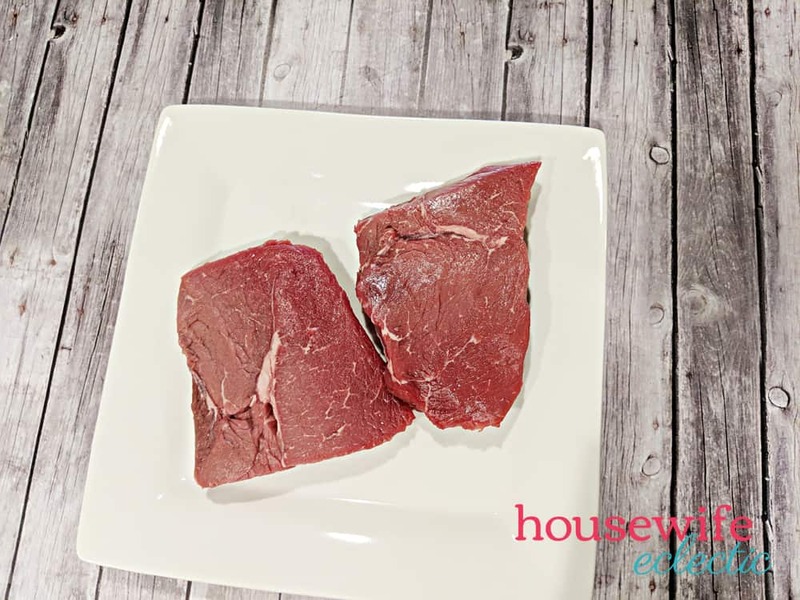 I think this steak recipe is awesome and totally worth a try! That steak looks delicious! I often use my cast iron skillet to cook steaks, especially when it’s raining or too cold to fire up the grill. It’s so easy. I do wish I had a commercial grade range hood because it does get smoky. We’re all meat eaters here and my husband and oldest son absolutely love steak, yours looks great. I don’t do mine in a cast iron skillet but can see where people might appreciate this method of cooking it. During the really cold winter months this is how we always fix our steaks. I have a cast iron griddle which works really well. It leaves the grill marks as well if that is something people want to see. This is exactly how we do steaks. I can’t even remember the last time we put them on the actual grill. When I was growing up cast iron skillets were used for everything. We fried a lot of food and although steak was seldom cooked the flavor of everything cooked in the cast iron skillets was awesome. I love cooking in my cast iron skillets. The food always turns out delicious. I haven’t tried steak yet but I will be trying your recipe out for sure. Oh how I love a great steak. You are so right about seasoning. Less is so much more when cast iron skillet fryin your steak. Thank you for this! I was actually wanting to know how to make a good steak at home. I did it wrong the first time, and I wanted to be sure this time the steak came out edible! We rarely use our cast iron skillet for anything other than steaks! It’s my husband’s favorite. I also love a good steak from the grill, but waiting until it’s warm outside is just too long! Oh my goodness, this steak looks so perfectly seasoned. My husband makes the best steak in a cast iron, so I definitely approve this! I’ll show him this in case he missed a tip or trick. I don’t eat meat anymore, but it looks like something we would have loved to make for dinner! That’s similar to how we used to cook them! We’ve always cooked steaks on the grill but this is one awesome way to prepare a nice juicy steak. I will have to try this next time. Cast iron skillets are a must have in every homemaker’s kitchen! 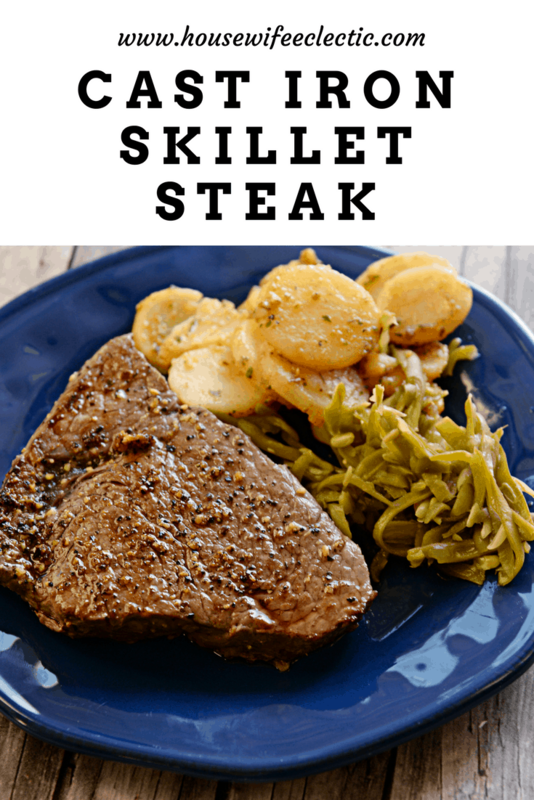 Love my cast iron skillets and they are perfect for cooking steaks like this. Gives it the perfect crust. I have some cast iron skillets and I never use them! They intimidate me! I am going to give steaks a try, your recipe doesn’t seem to hard! Cast iron is the true way to cook. I would love to try this recipe. I need a new cast iron skillet. Mine got damages, I loved that thing! I make a terrible steak so all of these tips are much needed!! I also need a cast iron skillet…LOL! !